Be careful of getting locked into easy website solutions that lack professional strategy and can’t grow with you. Get setup with the right foundational website that can evolve with your growth! The Basecamp is for businesses and professionals ready to start building a presence online. For some professionals The Basecamp will be all they need, for others it will allow for efficient structured growth when the time is right. Begin your website on a foundation that can accomodate your growth and budget. 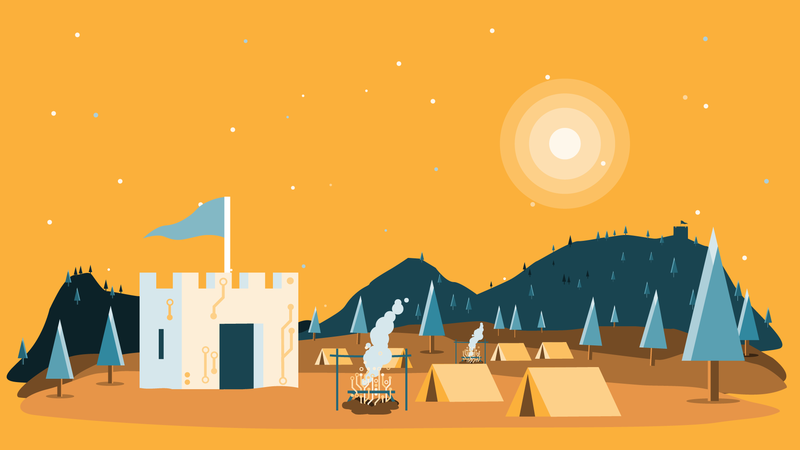 Start with The Basecamp while you continue working towards The Fortress! Fort Atelier is stationed online as your partner for navigating the Digital Frontier. Our Fortified Production Processes are structured to produce the best quality results while being extremely efficient with everyones time! You will know what stage your project is at in our production pipeline through our digital approval and feedback notifications. We will begin with setting milestones, learning our PM tools, client responsibilities, and scheduling days to meet and review your website’s development. We will need content to populate your website. This content can include written copy, logos, graphics, images, video, forms, documents and more. At an additional cost we have superb content creation services available if needed. It is at this phase that we begin aesthetically designing your content into visual moodboards. One moodboard will be selected from the presented designs and then built into a live website. After you have chosen your prefered website design and architecture we will begin building out the remaining website and all of it’s functionality. Upon your final approval we will begin to proceed towards the launch date where your site will go live for the world to see! All website packages include a 30 day post launch warranty with weekly follow ups and monitoring. Start your journey online with The Basecamp. Stake your claim by building a reliable and functional foundation online. The Basecamp includes domain and hosting registration, email account setup, and a mobile friendly responsive design. The Basecamp includes everything listed below and has flexible pricing for additional features and content. Ready to setup your Basecamp? Looking for something else from your website? Elevate your presence online with The Watchtower. Level up your outdated website with this package catering to businesses ready for a redesign. Now is the time to get your website updated and current, evolve to a modern web experience for your customers, and ensure that your site works properly on mobile devices. Dominate your market online with The Fortress! Become an authority with this premier package that includes Fort Atelier’s Fortification Strategy Plan, a Digital Energy Plan, professional copy writing, custom content, and a launch video. The Fortress is ideal for the business who is ready to leverage their website to do more work and sales. Are you ready for industry standard digital strategies, tactics, and content? If yes, schedule a consultation with us today! If you're not satisfied with your website's performance, we have just the strategy for you! 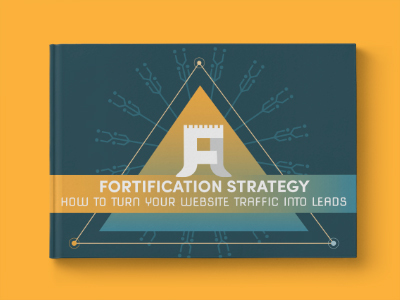 Start Gaining more from your website with our Fortification Strategy Guide "How to Turn Your Website Traffic Into Leads"! Transfer your hosting and domain account to our preferred provider Siteground.